Shortly after the beginning of the Kickstarter campaign, which has so far gained over 500 backers, Invader Studios it’s excited to reveal two huge surprises linked to their third person survival horror Daymare: 1998. The first will make console players happy – in addition to the Steam PC version, Daymare: 1998 will make its way to Playstation 4 and Xbox One, ensuring the game can be enjoyed on a variety of systems. The Invader team said: “following the brilliant start of the Kickstarter campaign of Daymare: 1998, we are extremely grateful to all the people that put their trust in us and are supporting us in an unbelievable way, we received unexpected support that allows us to put the console version in to the initial goal. This make us happy to address the many fans who asked us for a PS4/Xbox One version in the initial hours of the Kickstarter campaign “. But this is not all. 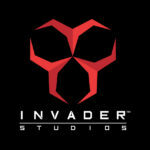 Following the nostalgic feeling of the game, the Invader Studios team is also revealing a fixed camera mode that will give all the old school survival horror fans something to look forward to. In addition to the support of the Capcom legends, that have worked on the most important Resident Evil games, like K. Aoyama (Director of Resident Evil 3: NEMESIS) and S. Nakai (enemy designer of the Resident Evil saga), the fixed camera mode is completing the circle that begun in the 90’s. While waiting to see a dedicated gameplay video, that will be published during the campaign (together with other very huge surprises that we cannot yet share), you can find a small preview about this below. This game looks amazing. Watching the videos really takes me back to when I first played the original resident evil and I can’t wait to see what this game has to offer. When can we expect this game to be released? Thank you for helping to bring back the third person perspective in video games!! Seems the video game industry has forgotten about those of us that would rather see our character instaed of just his/her hands and or weapons!! Sono contento che qualcuno ha finalmente preso le initiative per un Survival Horror di questo Calibro. …..Wasn’t this game suppose to come out already? No updates or talks at all….is it cancelled?